Get your Website a Widget! 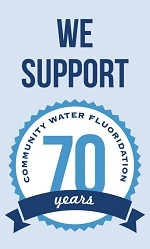 The Tap Into Healthy Teeth’s widgets are a simple way to link visitors on your website to information about community water fluoridation (CWF). CWF is the most effective and affordable way to protect teeth from decay.